All of my patterns can be done by hand or machine. They are each $10.00 (USD). Click to order, specifying which pattern you want in the email. Upon payment, the PDF of the pattern will be emailed within 24 hours. A "squircle" is a square with rounded edges. 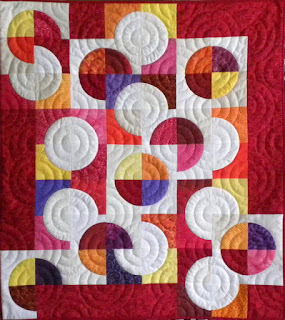 Each of these 4½" blocks has a squircle appliquéd on it with a circle in the middle, thus "Circles & Squircles". Order here. This loosely means "Happy New Year" in Chinese. Since red is considered a lucky colour it is perfect for this table runner. The circles represent coins. It is also shown in 1930's reproduction prints for variation. Order here. 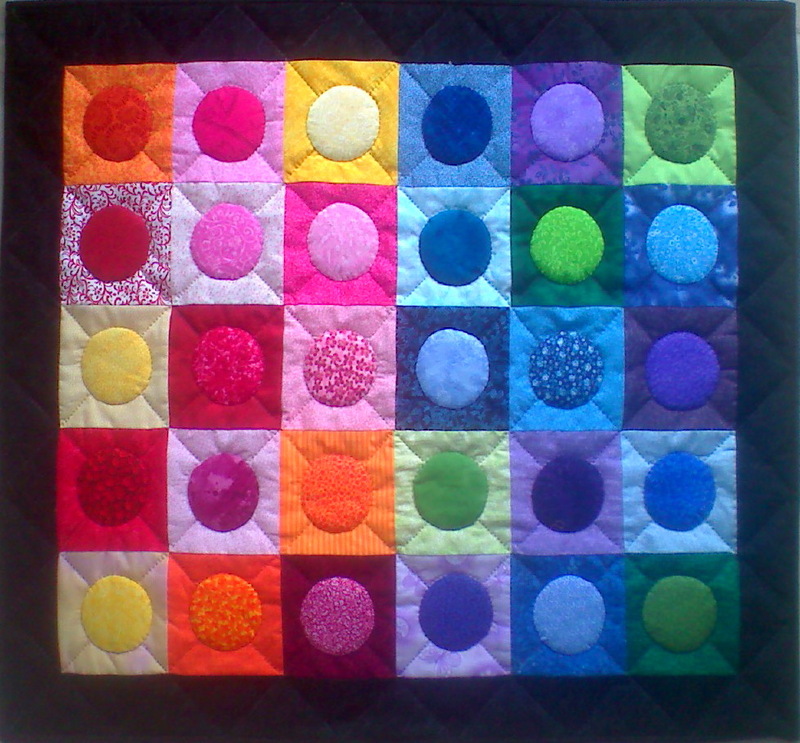 This little quilt is 24" x 27½". There are 30 blocks, circles appliquéd on 4" circles. The circles are like degrees in warm & cool, separated with warm on the left, cool on the right. 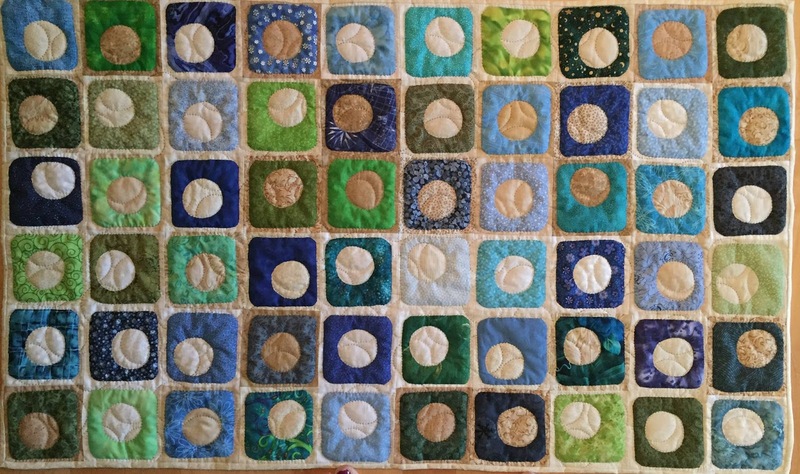 I quilted diagonally through the background. Order here. 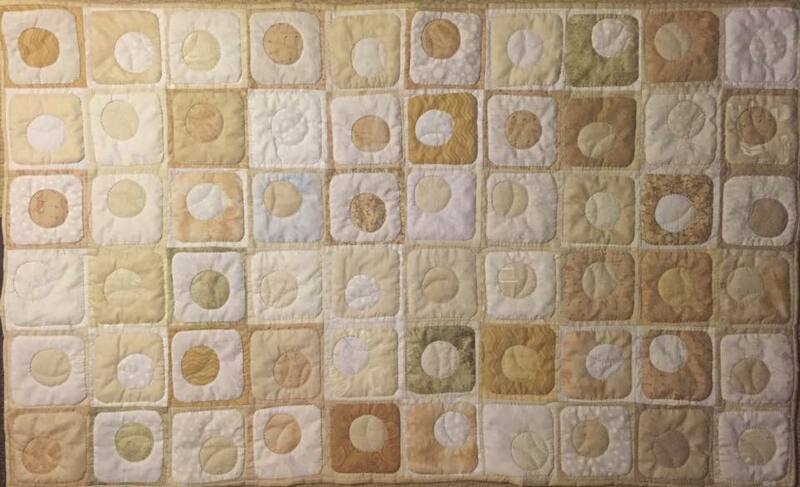 Simple Drunkards Path blocks make up this wallhanging. 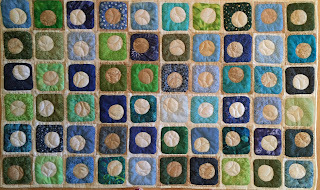 I've made it in blue & yellow, warm colours, and neutrals and it turns out great every time. It is 39½" x 45". 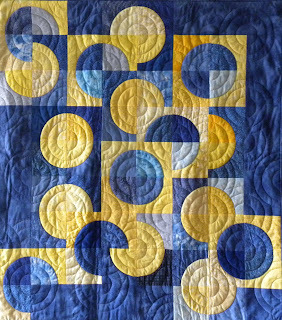 I quilted concentric circles throughout the blocks and the background. Order here.